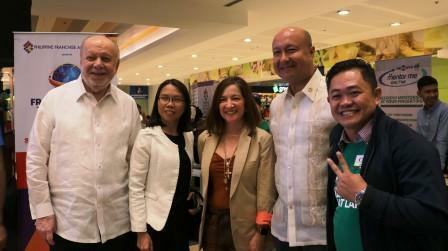 Cebuana Lhuillier Chairman and Founder and current Philippine Ambassador to Spain Philippe Jones Lhuillier and Cebuana Lhuillier President and CEO Jean Henri Lhuillier graced the Go Negosyo Mentor Me On Wheels (MMOW) event at the SM Megamall Events Center, January 29. This year’s first MMOW leg, in partnership with the Philippine Franchise Association (PFA) and the Association of the Filipino Franchisers Inc. (AFFI), aims to transport mentorship on franchising to a wider scale of aspiring entrepreneurs and franchisees. During the event, Ambassador Lhuillier delivered his opening remarks, highlighting the importance of MSMEs as the backbone of the economy and the idea of bringing Filipino products to Spain. Jean Henri Lhuillier, meanwhile, participated in the one-on-one mentoring with aspiring and small business owners.